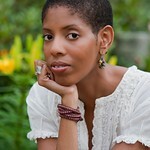 Lydia R. Diamond is a member of the 2005-2007 cohort of Huntington Playwriting Fellows. JOIN US! Subscribe now & guarantee your seats for an extraordinary season! 7-play subscriptions start at $161!